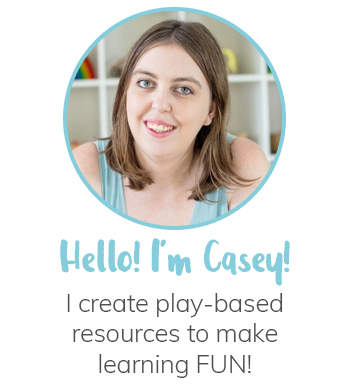 If you’re like me, you’re probably super passionate about dramatic play. But sometimes the materials and props can be a little expensive! I searched high and low for market stands but they were either out of my budget or didn’t really suit the image I had in my mind. 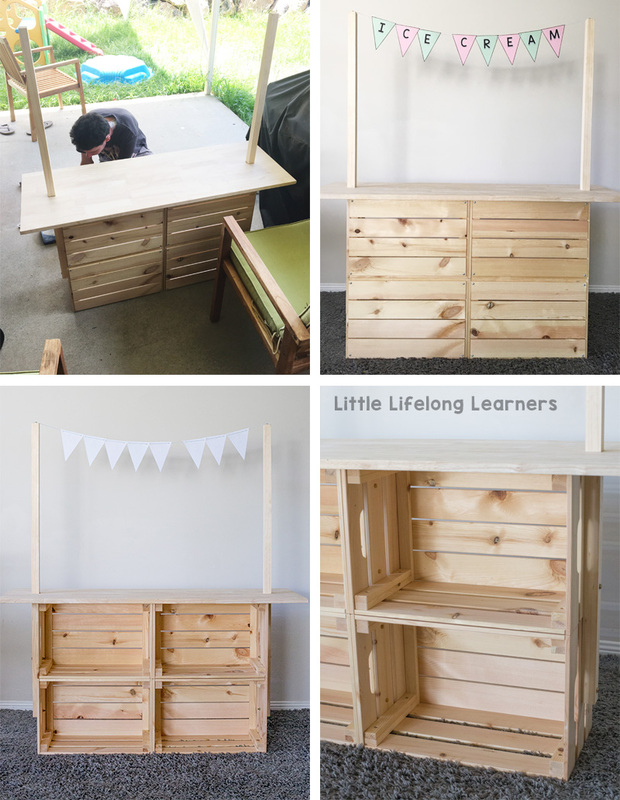 I wanted something simple yet open ended…that we could use for lots of different dramatic play spaces! Eventually I settled on making our own! 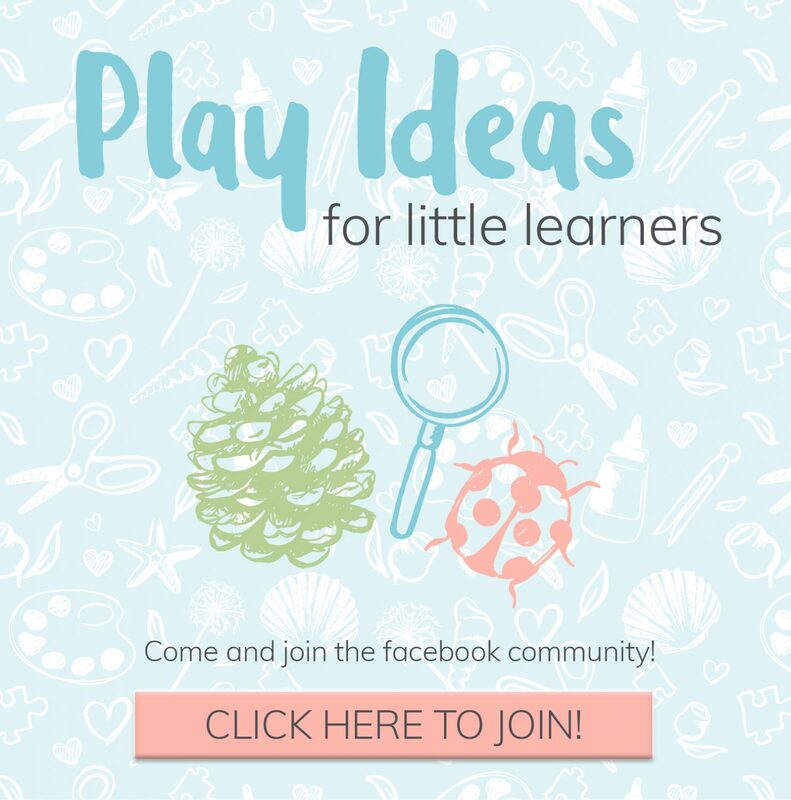 The first step involved me heading over to Pinterest to search for inspiration. There were so many amazing ideas! Many of the ideas involved re-purposing other furniture items from places like Ikea and Kmart. 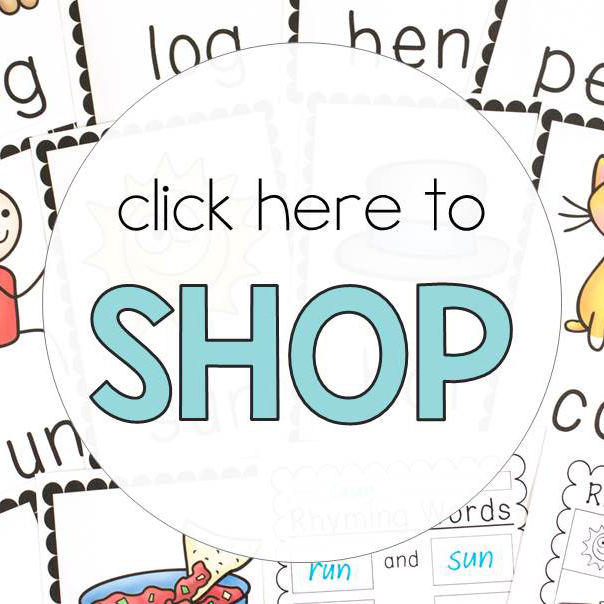 I saw a fantastic Lemonade Stand idea by See Vanessa Craft which caught my attention and inspired our design. I love the idea of using crates so that we could pack away the market stand when we didn’t need it. So once I briefed hubby on my plans, we decided on the KNAGGLIG crates from Ikea. A lot of the hacks online just used two or three crates standing side by side but I wanted something with a bit more storage. 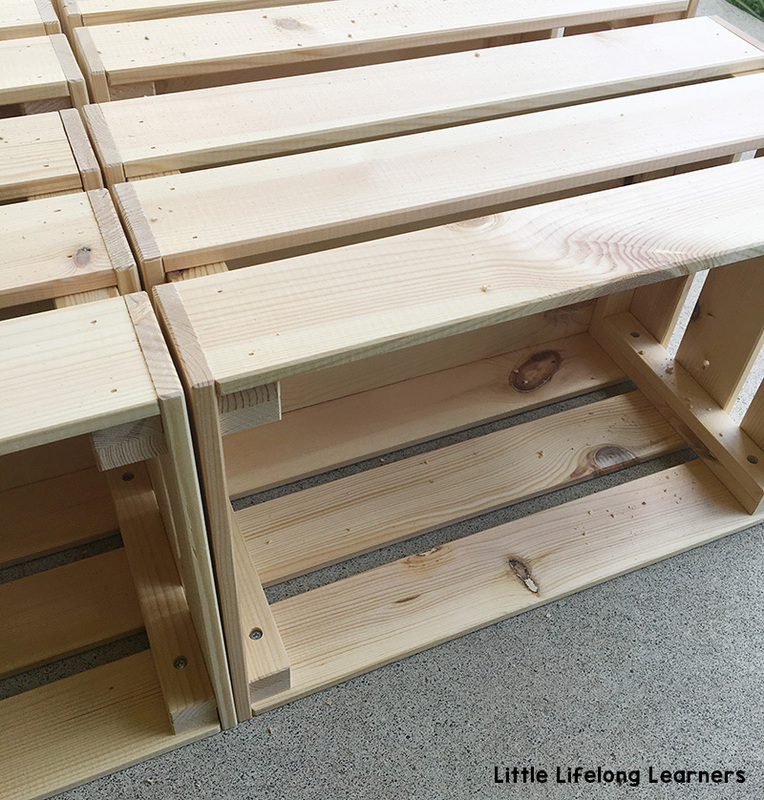 We headed to Ikea and picked up four of the large KNAGGLIG crates! They are 46x31x25cm in size. After we stopped in at Bunnings and grabbed some dowel, a per-fabricated table top and some bolts. Then it was time to get DIYing! 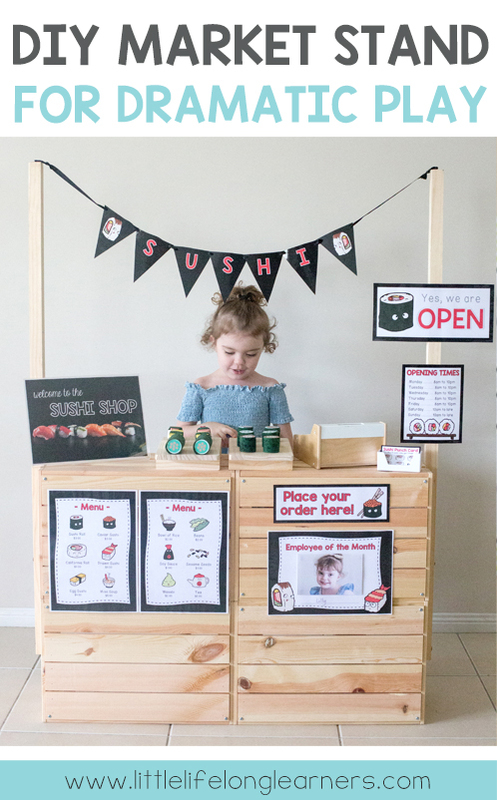 The finished market stand – Ice Cream Shop and Free Sushi Shop printables! 1 x pack of nuts and bolts. How do you make the market stand? Step 1 – First we had to assemble all of the KNAGGLIG crates. Once assembled, my hubby drilled holes in the crates and used the nuts and bolts to attach them together. We laid two crates on top of each other length ways and then attached another two crates beside them. This was the base of our market stand! Step 2 – Hubby drilled holes on each side of the market stand and then bolted the dowel poles through the holes. He also added a screw to the top of each pole so that I can easily attach bunting to the tops! Step 3 – Finally, hubby added the bench top. This step was a bit tricky and you can totally leave it out. Hubby lined up the bench top and then chiseled out holes so that we could slip the bench top down over the dowel and onto the stand. We didn’t secure this at all because we wanted to be able to take it off as needed. If you wanted to, you could totally paint the market stand…but I just love the raw look! I absolutely love how there is so much storage on the back as well! 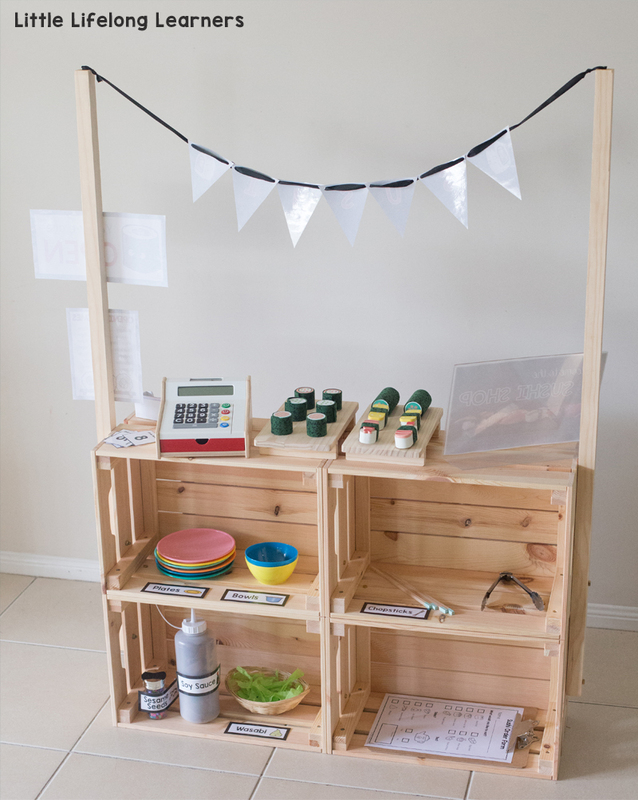 You could even use that side for a traditional market stand for fruits and vegetable market play! The image below shows how I set up the back of the stand for our Sushi Shop. 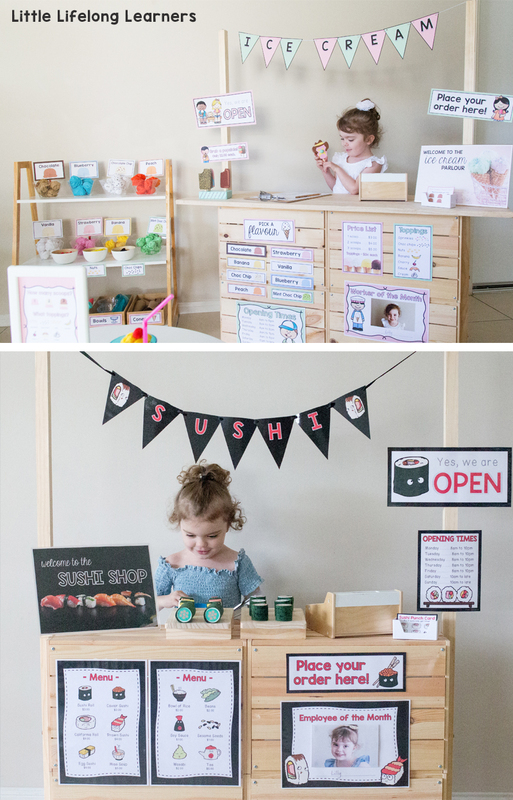 You can grab the printables for my FREE Sushi Shop by clicking here!